If you want to make some beautiful boxes a spline jig may be what you need. 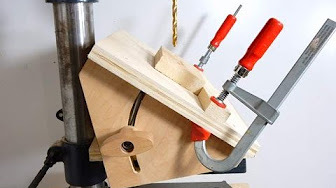 This is a must have jig for any woodworking shop. There are many different types and some are easy to make, and I will show you how to make the easiest one ever. The one I will be making will also have a stop block and a fine adjustment screw, this will help keep the measuring and cutting easy. When the jig is complete you can make boxes. A good idea is to first use a small scrap piece of 2x4 and test out the jig and cut some splines. Then by using contrasting colours of woods and different spacing you can come up with some really interesting designs. Here is another spline jig I built for cutting angled and straight splines. It works fine but like I said the new one will be easier to build. Jigs can always be modified and improved and as a woodworker it is as much fun to build jigs as it is to use them for the projects being made. I built this jig and small box frame with decorative splines. It was made very quick and was somewhat of a test. The jig worked out fine but a stop block will make things easier. I will show you how to easily make make a spline jig fast. I used my new caliper and measured a block and cut a piece 8 inches. I am finding many new uses for this caliper. The wood I am using is a piece of hardwood from an old pallet. Since it is free wood it had a dado cut on one side but this is easy enough to cut out. The table saw blade is set to 45 degrees and the block will be cut on both sides to make a V-slot. You can make a runner using a piece of hard wood. It is important to cut it the same size as your table saw miter slot. If there is any play your cuts will not turn out precise. I had to move the fence more than once and after the second try I had it set and cut a perfect runner. Tip: I cut a small piece of the runner and will be saving it. I will mark it "Runner Test Block" and keep for future runners I have to make. The runner and block are glued together. I usually do this in the table saw but wanted to do it in a vise this time. After the glue was applied I put in one screw then used a speed square and checked for it squareness. I added a second screw and it turned out fine. The next step is to make a stop block. Three pieces of 3/8" plywood are cut to the right size to sit on the block. Then I held it together with a clamp and added four screws. After the clamp was removed I had a nice solid sliding stopblock. A couple of knobs with screws are put in the stop block. One is for clamping and the other will be a fine adjustment screw. To make the knobs I added some carriage bolts to some discs that were made with a hole saw. I used my miter gauge to cut some oak for the sides of the boxes I will be making. After I cut some pieces to the right length, I tilted the blade to 45 degrees put on a stop block on the miter gauge and continued to cut the pieces for the box. Glueing and clamping the box with my box clamp. I built this clamp a few years ago and it still works fine. A few marks are made on the jig. One mark is on the fine adjustment knob.Two turns on the fine adjustment knob equals the thickness of the saw blade. The mark on the jig is to show where the saw blade is. I hope this makes sense. After the cuts were made the keys or splines can be glued in. The wood I used was a piece of smoked oak. Walnut would have worked just as well. The next step is to trim the splines, this can be done on a band saw. Before we can move on the box has to be cleaned up again. It was taken over to the belt sander and smoothed out. Careful attention is made when sanding to not sanding off too much or too little. Here is the box with a second set of cuts in it. The jig was set so the cuts were made in the first set of splines. Now the maple splines can be added. A good idea is to first dry fit all the pieces and make sure you have a correct fit. The maple splines are now cut again using the bandsaw. The box can now be taken over to the bandsaw and trimmed down again. Then over to the sander and sanded smooth again followed by some fine sanding. I gave it a coat of Varathane first then glued on a plywood bottom. 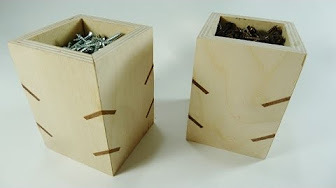 You can now build yourself a simple jig and make beautiful boxes. Building the jig as precise as you can will be beneficial when it is complete. It will perform better and give you nicer results. Many jigs look complicated and even more complicated to build. I hope this article can help you to build your own boxes and come up with your own designs. Which design do you like better and what types of wood do you think look good together? 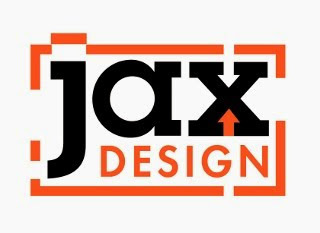 You know Jack, I've been a long time subscriber to your YouTube videos, but never got around to the site and glad I finally did. Thanks for stopping by, I enjoy creating and sharing my work. Glad you enjoyed my idea hope it can help you, Valery! I'm a new woodworker, (Such a pleasurable hobby), but I MUST tell you, how much I've learned from you. How grateful I am that I found you and how easy you make it all look. I'm trying to save all of your videos, so that I can have them at the ready whenever I need them. It's a pleasure to watch you work. Please never stop being you. 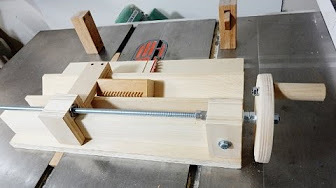 Hey Jack, that’s a precise piece of write-up on making a simple Jig and box. To be honest, it would be a nice resource for me as I’ve been working on a similar subject area to create an eBook for some particular visitors of our company website, Spottingpro .